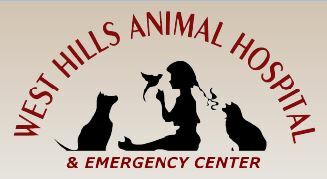 West Hills Animal Hospital & Emergency Center is a 24 hour, full-service veterinary practice, emergency & specialty animal medical facility located on Long Island in Huntington, NY. We are proud to serve the pets of both Nassau and Suffolk County. We are fully staffed around the clock, 365 days a year with veterinarians and nurses to treat your pet when needed. Board-Certified Veterinary Specialists are available for consultations by appointment. We understand the important role pets play in our lives and strive to practice the very best veterinary medicine possible to strengthen the bond you have with your loved ones. We keep your pets at their healthiest, with canine and feline wellness care and vaccines so they are protected against disease, surgery when needed, professional dental care, emergency care and advanced critical care if necessary. We work closely with our clients every step of the way so that together we formulate the best possible treatment plan for your pet. We have achieved international recognition by receiving the Veterinary Economics Magazine’s Hospital Design Award, one of only two hospitals on Long Island to have ever received this award. We are also the recipient of the 2014 Bethpage Best of Long Island “Best Pet Hospital” and 2014 LI Pet Lover Pet’s Choice Award for “Best Veterinarians” and “Best Pet Boarding”. It is the extraordinary bond we have with our patients that motivates us to set the gold standard for veterinary care. We consider it a privilege and an honor to be your family’s veterinarian.